When you put in a screw you usually have to drill a clearance hole and a pilot hole. The length and diameter of these holes will depend on the screw size sec Table below. Drill the pilot hole in the thing you are fixing to make it a little bit shorter than the length of the screw. Drill a shorter, wider clearance hole in the thing you are fixing. Make sure that the clearance hole is deep enough to avoid the wide part of the shank between the thread and the head – being forced into the small pilot hole. Normally the clearance hole should pass right through the fitting or uppermost material. Finally, if appropriate, countersink the top of the clearance hole. 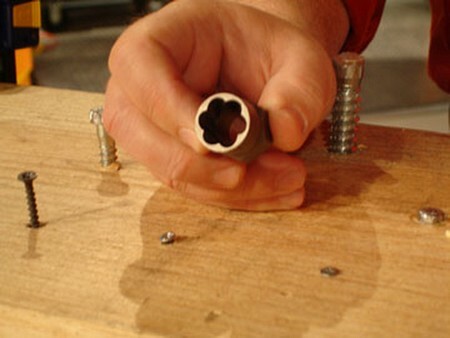 When using small screws, a bradawl (a small hand-held spiked instrument rather like a pointed screw­driver) can be used for making the pilot hole. When putting in a lot of countersunk screws of the same size, you can avoid changing the drill bit three times by using a combination screwsink which is a com­bination of all three drills necessary for putting in a countersunk screw. These bits are difficult to buy. occasionally, access for putting in a screw is very limited and while long-bladed screwdrivers should reach into most positions you may not be able to get your fingers in to hold the screw. You can get small plastic devices for holding the screw; other materials such as sticky tape, chewing gum, putty and plasticine work too but are more fiddly to get right. Magnetising the screwdriver blade only works for steel screws. You can often balance a cross-head screw on the end of the screwdriver. 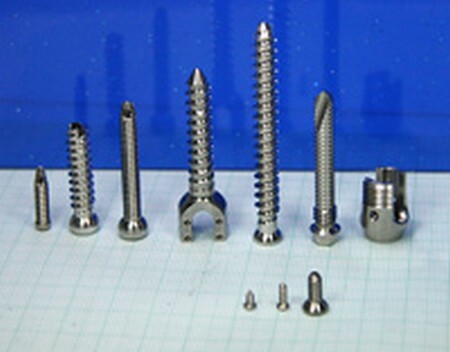 When buying screws the specification is listed in this order: gauge, length (in inches), material, head style, special thread (if any), type of finish or coating (if any). For example 8×11 steel Supadriv countersunk head Twinfast wood screw, bright zinc plated. In practice, this is usu­ally abbreviated to ‘Inch and a half zinc-plated Twinfast eights’. Screws are priced by popularity as well as size – so it might be cheaper to buy the size bigger than the one you think you want. Screws can be bought in bulk in boxes containing 100 or 200 screws from builders’ merchants, large ironmongers or do-it-yourself shops. You can also buy them loose (typically counted out in 5s or 10s) or in pre-packs, which can be con­venient but sometimes more expensive. The cheapest way of all is to buy by mail order, but you cannot be certain of what you are getting and you may end up with sizes you do not want.